To feel more comfortable about unfamiliar experiences, it's best to mentally prepare! Here are 5 book suggestions from the SmileTown Burnaby team that are sure to get your kids ready - and excited - for their next dental appointment. Dr. De Soto is a skilled mouse dentist who treats all sorts of different animals: he treats small ones in his regular dentist’s chair, larger ones by climbing on a ladder, and the really huge ones, by getting on a pulley! There's only one kind of animal Dr. De Soto and his dental assistant do not to treat: animals that eat mice. 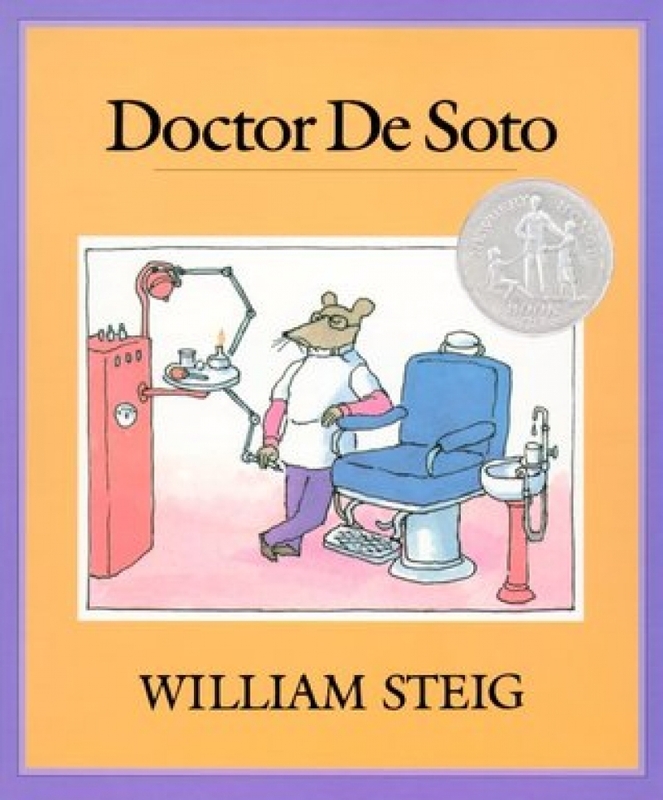 Read this engaging story and find out what happens when a miserable fox with an aching tooth shows up at Dr. De Soto’s practice one day! For 30 years, this classic book has been teaching kinds the ins and outs of visiting the dentist. It teaches them about how many teeth they’ll have at different stages of their lives, and about what happens when primary teeth fall out to make way for ‘big’ teeth. This book is a favourite with many kids because of the idea that big teeth coming in means they’re growing up into ‘big’ kids! In this edition of the beloved Berenstain Bears Series, Brother and Sister Bear pay a visit to the dentist; Sister needs to have a dangling baby tooth removed, and Brother needs a filling for a small cavity. Sweet, familiar illustrations and a comforting message that visiting the dentist isn’t so bad! This book doesn't cover any of the possible negative elements of visiting the dentist. Instead, this rhyming story guides kids step-by-step through the process of a dental appointment. This reassuring read helps kids feel more comfortable about visiting the dentist. This book is a good one for slightly older kids. With cheerful, bright illustrations and a wealth of great advice for caring for oral health, it’s both fun and informative. It teaches kids about everything from what to do if you have a loose tooth, to what to expect during a dental appointment.